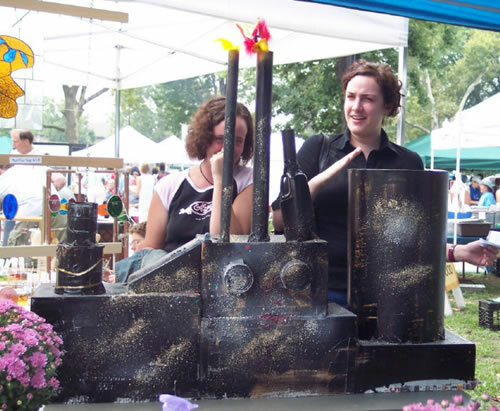 I will work with a non-profit or activist group to vision and outline how they can better engage an audience using interactive elements or performative live “actions.” The idea is to go beyond the informational booth format, and to think of how to engage people in an issue or to bring attention to a cause. 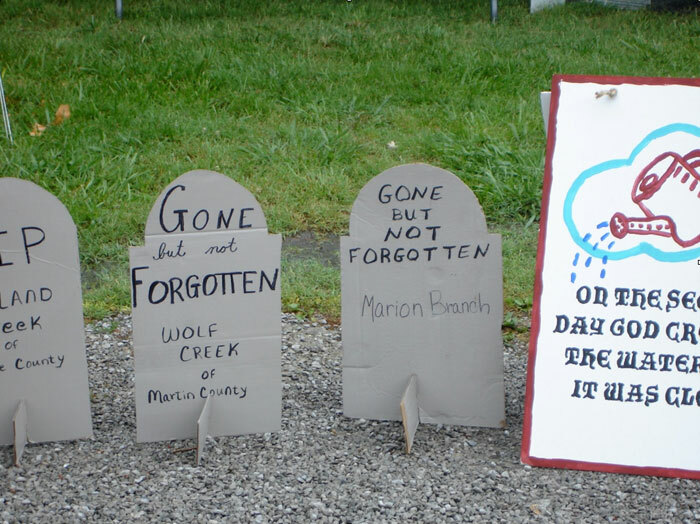 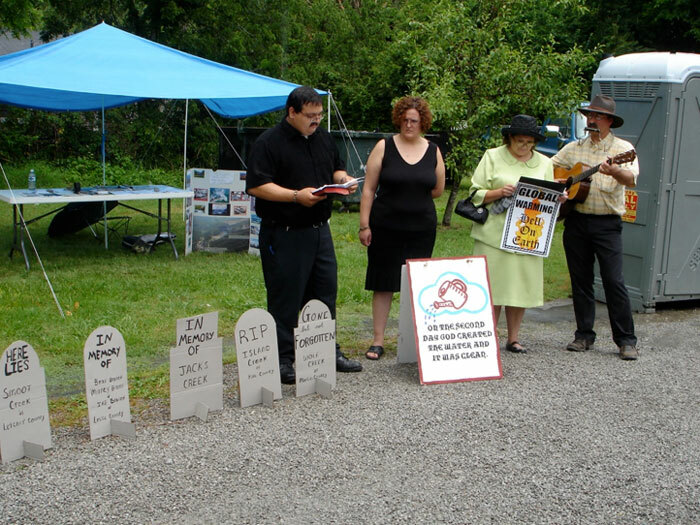 Some groups I have worked with include the Kentuckians for the Commonwealth (KFTC) Pikeville County Chapter, who did a performative action about mountain top removal and the waterways at the Seedtime Festival at Appalshop in Whitesburg, KY. 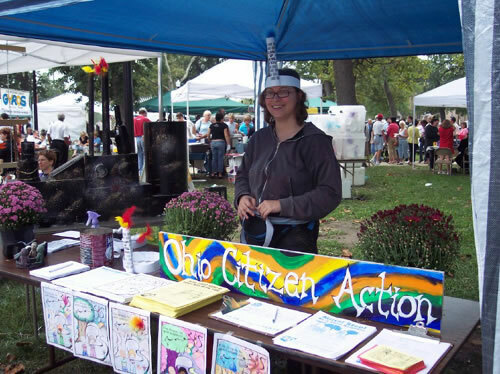 I also worked with the Ohio Citizen Action League Cleveland chapter and did a presentation to a number of groups who attended the Cleveland Bioneers conference in 2011.